This Fury 3216 toy hauler travel trailer by Prime Time is not lacking in off-road toy storage space! With 16'0" of cargo space you can easily put a couple of dirt bikes, a four wheeler, or even a few bicycles here. After loading your toys using the spring assist ramp door with 3,000 pound capacity, you can head to the off-road park. Just imagine visiting with everyone while waiting your turn on the toys. You will find plenty of seating and sleeping space on the dual Happijac sofas and two folding sofas. You can even retire to your own bedroom at night. You will find several more features such as a designer headboard and bedspread for the queen bed, mirrored wardrobe doors, and massive under-bed storage. If you like, you can even choose to add the party patio kit option, plus more! 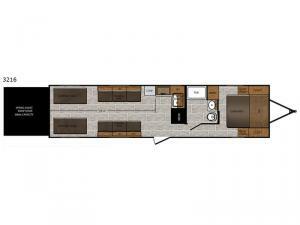 It's time to enjoy the great outdoors, your toys, and comfortable living space in this model. The Fury toy hauler by Prime Time RV includes an aerodynamic profile and heavy duty Dexter axles for a smooth tow where ever you go. There is a 20 gallon fuel station and Zamp Solar package with 3 port roof shroud, an inverter, and digital control panel for those off-grid trips. 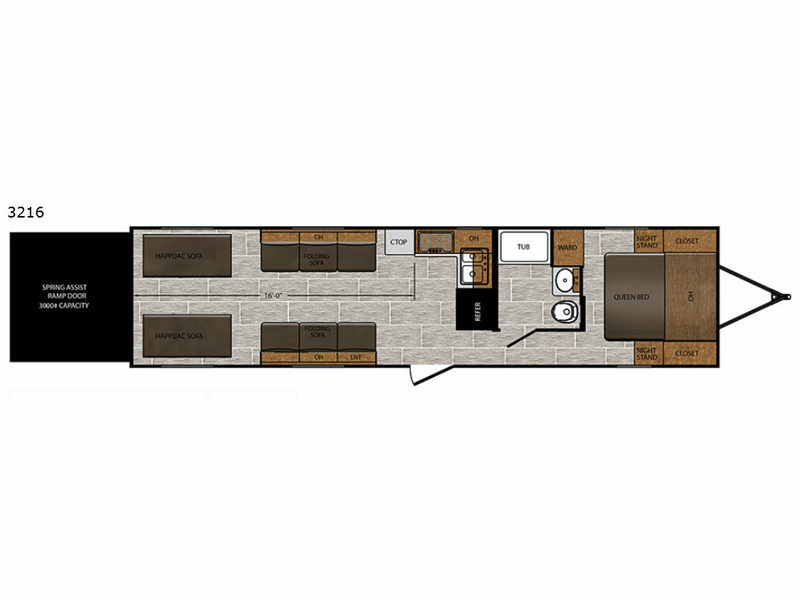 The exclusive Eternabond construction, fully walkable roof, plus heated and enclosed underbelly will have you camping with your off-road toys during any season for many years to come. You also have complete kitchen and bath amenities. Come choose your favorite model today!